Why Isn't Science Class More Like Learning to Play Baseball? 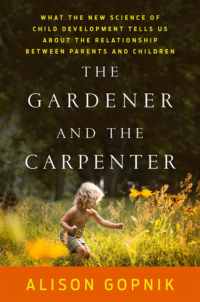 Excerpted from The Gardener And The Carpenter: What the New Science of Child Development Tells Us About the Relationship Between Parents and Children by Alison Gopnik, published in 2016 by Farrar, Straus and Giroux, LLC. 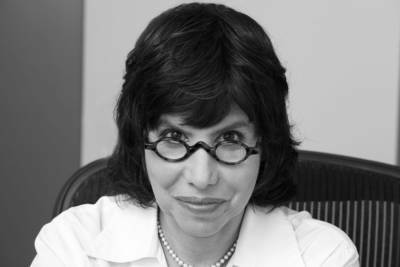 Copyright (C) 2016 by Alison Gopnik. All rights reserved. How does mastery happen? For most of human history, learning in middle childhood meant apprenticeship, not school. Children learned to master skills informally inside the family, or outside the family, more formally and later. Most people were foragers or farmers, and foraging and farming children learned by helping out— they still do. Children also learned more specialized skills by becoming apprentices to master tradesmen and artisans. Preschoolers show some of the beginnings of apprenticeship when they imitate the people around them. Anthropologists and cultural psychologists, not to mention parents, see how even very young toddlers are drawn to imitate everything that they see their elders do, from machete handling to pancake making. But while preschoolers are essentially playing at those adult skills, school-age children begin to genuinely master them. It is more work to make pancakes with a two-year-old than to just do it yourself, but by eight or nine, children can honestly contribute to a family’s economy. Apprenticeship is a kind of work as much as it is a kind of play. School-age children observe and imitate like younger children. But they learn especially well when they interact with particularly skilled adults in a distinctive cycle of trial and error. The apprentice watches the master attentively, and then tries out a simplified part of the skill. It might be stirring the stockpot, cutting out a pattern, or roughing a carpentry frame. The master, in turn, comments (often quite critically) on what the apprentice has done and gets her to do it again. With each round of imitation, practice, and critique, the learner becomes more and more skilled, and tackles more and more demanding parts of the process (the béchamel sauce, the darts in a bodice, the mortise-and-tenon joint). Apprenticeship can require grueling practice. A Japanese Zen story tells of a student, Matajuro, who was desperate to be instructed by Banzo, the great teacher of swordsmanship. Banzo sent him to the kitchen to prepare vegetables instead. On the first day, as Matajuro was slicing radishes, Banzo suddenly appeared without warning and smacked him with a large wooden sword, offering no explanation. This went on for months, and each time Banzo would appear more unexpectedly. By the end of three years in the kitchen Matajuro was perpetually alert, on the balls of his feet, preparing to duck at any moment. Then and only then did Banzo announce that Matajuro could begin training. Matajuro became, of course, the greatest swordsman in all of Japan. A journalist I know tells a similar tale of learning to write radio news. He started as the youngest and lowest of copywriters in a desolate overnight newsroom. The grizzled, half-drunk, and extremely cranky old editor would tear off a piece of copy from the Teletype machine (this was a very long time ago) and tell the novice to write it up into a radio script. He would type a script up frantically, and return his finished piece to the editor. Four out of five times the editor would grunt, “This is crap,” and throw it in the wastebasket. But occasionally, he would grunt and throw it into his inbox instead. Gradually the editor would accept a few more stories and reject a few less. At last, more than half made it into the inbox. Like the swordsman apprentice, the journalist discovered that he had somehow learned how to write a radio news story. This is not exactly how we would ideally want schools to unfold, of course. But these stories are instructive parables of how apprenticeship can lead to mastery. Many of the most effective teachers, even in modern schools, use elements of apprenticeship. Ironically, though, these teachers are more likely to be found in the “extracurricular” classes than in the required ones. The stern but beloved baseball coach or the demanding but passionate music teacher let children learn this way. Poor, inner-city children have a tendency to focus on sports and music, even though these skills are far less likely than math or science to help them to actually make a living. Perhaps this reflects unrealistic cultural expectations. But I think it also reflects the fact that sports and music are much more likely to be taught through apprenticeship than math or science or literature. There is no particularly good reason why ballet or basketball should be taught through apprenticeship while science and math are not. As any scientist will tell you, our profession is as much a matter of hard-won skill as piano or tennis. In graduate school, where we really teach science, we use the same methods as a chef or a tailor. My students begin by writing up the easy part of a paper, or designing a substudy of a big grant, and slowly graduate to doing a completely original experiment themselves. And though I don’t exactly wield a wooden sword—or even a wastebasket— I’m told that my “track changes” comments on a student manuscript can be pretty ferocious. teachers are as good at science or mathematics or writing as the average coach is good at baseball? And even when teachers are experts, how many children ever actually watch a teacher work through writing an essay or designing a new scientific experiment or solving an unfamiliar mathematics problem? Imagine if we taught baseball the way we teach science. Until they were twelve, children would read about baseball technique and history, and occasionally hear inspirational stories of the great baseball players. They would fill out quizzes about baseball rules. College undergraduates might be allowed, under strict supervision, to reproduce famous historic baseball plays. But only in the second or third year of graduate school, would they, at last, actually get to play a game. If we taught baseball this way, we might expect about the same degree of success in the Little League World Series that we currently see in our children’s science scores. Matajuro and the copywriter didn’t learn in order to pass the swordsmanship SAT or the copywriting final exam. The process and the outcome of their learning were indistinguishable. 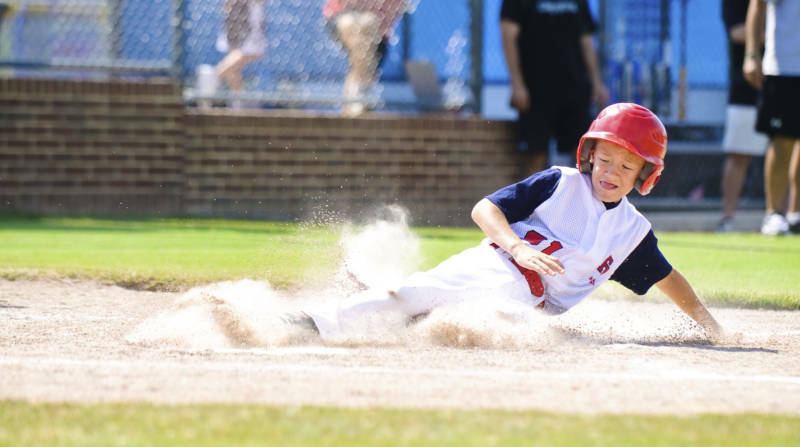 Learning to play baseball doesn’t prepare you to be a baseball player -- it makes you a baseball player.